More toy news for your entertainment. Below are links to galleries for upcoming 3rd party toys including two combiners, GameInformer covers, WST Astrotrain and Transformers: The Ride tease. For videos there is a look at Sideswipe at recent Hub event, latest Kre-O commercial, and video reviews of Heavy Labor & five Transformers: Prime toys. 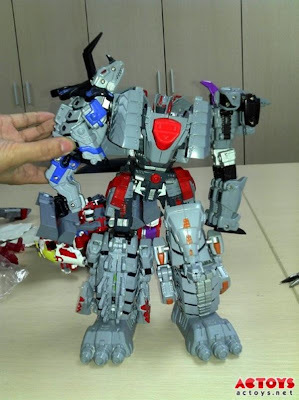 Not Dinobots CombinerHit the link to view a small gallery that shows off a closer to production design of the not Dinobot combiner that 3rd party TFC Toys is working on. The sucker has a whole lot of grey going on so hoping further tweaks are coming. Over all though it’s a pretty authentic creation of the 5 Dinobots but with the added combiner mode. Hit the link for two of special covers created for GameInformer's special Transformers: Fall of Cybertron issue that should be hitting newsstands pretty soon. 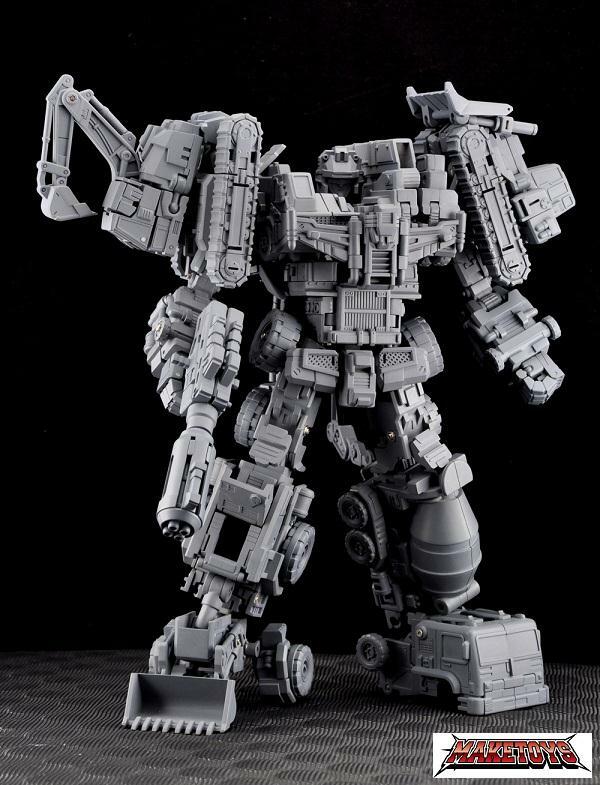 Speaking of combiners, Maketoy is also making their own, this one based on Devastator. This is different than the current Hercules toys from TFC Toys is releasing each Constructicon at a time. Based on the images at the link, this one is based on the Generation 2 yellow repaint of Devastator. The first two figures of the line, Bulldozer (not Long Haul) and Excavator (not Scavenger) will be released sometime in December for price of $136. I guess that means each of the six will work out to $68 each which is cheaper than TFC Toys $95 each but no idea how the two scale to each other. Hit the link for latest addition to the "World's Smallest Transformer" line. It was started and then abandoned by Takara so JustiToys filled in the gap by creating their own versions. This one is based on the G1 triple-changer Astrotrain. I think the classic purple/black version is in the works also. No idea on release date, think the price is around $20 for the 50 cent piece sized figure. At the link are a few images that show the prep work that is continuing on the nearly completed Transformers: The Ride in Singapore that is opening on December 3rd. Thanks to Sam N. below is a video of Sideswipe at the Hub of Transformers tour on October 22nd from Blue Springs, Missouri. Below is latest commercial for the Kre-O Transformers line using stop motion with a bit of a late 70s thing going for it. Below is the video review for the second not Constructicon release by TFC Toys that will eventually combine to form Hercules. The $100 figure is pretty solid toy from a not Hasbro company that collector's will probably enjoy. Hit the links for Peaugh reviews of many of the Transformers: Prime toys that should be coming out in the next month or so. There is some confusion on if they will be available at retail but I assume they will at least pop up on HasbroToyStore.com at some point. Really digging this line and like the potential. 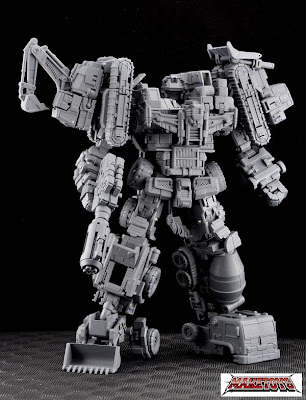 So far on my too buy list is Cliffjumper, Megatron and Bulkhead (below) who Peaugh demonstrates is a pretty sweet engineering marvel with excellent use of space when compared to the last time he appeared in toy form with Animated. I hope the second season of Transformers prime is better than the first. Its a great show but one problem I have with the show is that things they look for and the battles always take place in the middle of nowhere. The Autobots have been way too lucky to cover everything up and the cons are too soft if they want something just take it no matter what don't be all stealth they are the bad guys they should not care about nothing. This is modern day Earth, not prehistoric Earth on Beast Wars. They can have an old cybertron warship underneath a shopping mall or something you know. And Miko is so annoying. And for the Hub tour I'm glad that its Sideswipe on display just this onice, Bumblebee gets too much attention. lol i like u Anonymous at 1:42pm!! !